Salvation is the goal of every True Worshiper. Some believe it is automatically and permanently secured once one repents and turns from sin. 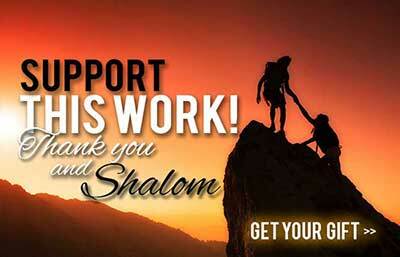 Others say that it is all of Yahshua’s doing and requires nothing of us. 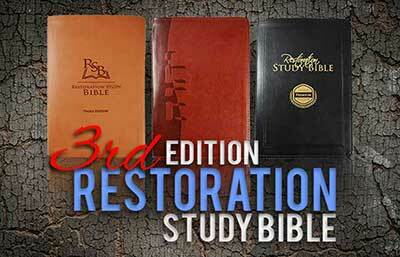 Let’s discover the biblical answers. b. Numerous Scriptures in both Old and New Testament attest that human salvation is the sole prerogative of Yahweh the Father. Jeremiah 3:23 is plain that in Yahweh Elohim is salvation. Jonah 2:9 confirms that salvation is from Yahweh. David wrote in Psalm 27:1 that Yahweh is his light and salvation. Psalm 3:8 tells us that salvation belongs to Yahweh, a statement virtually repeated in Psalm 37:39. The Son’s Name Yahshua means “Yahweh is salvation.” Near the end of the Bible it was revealed to John that the heavenly hosts cry out that salvation is of the Father Yahweh, Rev. 19:1. Salvation is missing in the Old Testament, existing only in the New Testament. b. In Isaiah 59:1 the prophet says Yahweh saves. His arm brings salvation (59:16) and He wears a helmet of salvation, v. 17. A Redeemer is promised in verse 20 for those who turn from lawbreaking. In chapter 60 we learn of the Millennial Kingdom and how Jerusalem will be called salvation, verse 18, and how the people will all be righteous and inherit the land forever, verse 21. A new heaven and new earth are described in Isaiah 65:17-25 and 66:22. The righteous will be resurrected to life, according to Daniel 12:2. Ezekiel 37 speaks of a resurrection of dry bones, when the dead will be brought back to life when David rules, vv. 24-25.
b. earned by good works. c. earned by faith and good works. d. promised unequivocally to all mankind. a. Ephesians 2:8 tells us there is nothing we can do to “earn” our salvation; it is a gift Yahweh grants those He finds “worthy,” Luke 20:35; 21:36; 2Thessalonians 1:5; Revelation 3:4. Those who meet this criterion of worthiness walk in good works. Good works are those “which Yahweh had before ordained” for us to walk in, Ephesians 2:10. In other words, keeping His laws that were before commanded renders us worthy and Yahweh’s grace then saves us, Heb. 10:36; 2 Pet. 1:10-11. Yahshua affirmed this in Matthew 7:21. He also said in Matthew 19:17, “If you will enter into life, keep the commandments.” Although we cannot earn salvation by good works, Yahweh won’t save an unrepentant lawbreaker, Ezek. 18:20; Gal. 5:19-21; 1Cor. 6:9; Eph. 5:3-5; 1John 3:15. Sin is the breaking of His laws, 1John 3:4. He rewards each according to his or her deeds, Romans 2:6-12; 8:4-6; 1Cor. 3:8; Rev. 2:17, 23, 26; 22:12; Isa. 3:10-11; Gal. 6:7-8. Salvation is entirely Yahweh’s, and He goes by the standard of His laws in His judgments for salvation, James 2:12; 1Pet. 1:17.
c. overcoming sin and the world. e. nothing meritorious on our part, only on Yahshua’s. c. Beginning back in the Old Testament we learn that repentance and obedience are key to salvation, Neh. 1:9; Ezek. 18:27-30. Repentance is critical to salvation in the New Testament as well, Luke 13:3; Acts 3:19; 11:18; Rom. 10:13; 1Cor. 6:11; 2Cor. 7:10. Obedience includes giving up the ways of the world: “Wherefore come out from among then, and be separate, says Yahweh, and touch not the unclean thing; and I will receive you,” 2Cor. 6:17. Paul wrote in Philippians 2:12 to “work out your own salvation with fear and trembling.” Obeying Scripture is how we “work out” our salvation: “Take heed unto yourself, and unto the doctrine; continue in them: for in doing this you shall both save yourself, and them that hear you,” 1Tim. 4:16. Overcoming sin through obeying Yahweh’s laws will make us the rightful candidates for salvation, Rev. 22:14; 3:21; John 3:16 with 5:46-47 reveals true belief tied to the law. d. no matter whether saint or sinner. b. Unless Yahshua resurrects the dead, they have no future. The reward of everlasting life to the just comes at the resurrection (Luke 14:14, at Yahshua’s return (Matt. 16:27; 1Cor. 5:5; 1Thess. 4:16-17; Heb. 9:28; Isa. 40:10-11). Upon conversion you are forever saved. b. Paul said in 1 Thess. 5:8 that there is a “hope” of salvation. He wasn’t even sure of his own salvation, Philippians 3:11. Hebrews 3:14 says, “We are made partakers of Messiah if we hold the beginning of our confidence steadfast unto the end.” Also Rev. 2:10. Hebrews 6:4-6 says that for those who know but reject the truth it is impossible to renew them again to repentance. A dreadful end awaits, 2Pet. 2:20; Heb. 10:26-30; 12:25. Justification is not the same as sanctification. a. Justification means declaring to be just or righteous, just as if you had not sinned. It is achieved through our faith (Rom. 3:28) by Yahweh’s grace (Rom. 3:24) at conversion (Acts 3:19) for sins that are past (Rom. 3:25). Sanctification means consecration, or setting apart from the world for a special purpose, and is done by obedience to Yahweh, John 17:17; Romans 3:31. The Name of the Son is in what way linked to salvation? What will the saved do once resurrected? a. Rule on earth as priests under Yahshua. b. Look upon Yahweh’s face forever. c. Play harps on misty clouds. d. Yahweh has not revealed this secret to man. a. Revelation 5:10 says the saints will be a kingdom ofpriests who will reign on the earth (1:6) for a thousand years (20:6) and then forever (22:5). See also Dan. 7:18 and 1Pet. 2:5-9. Those who overcome and keep His works will reign over the nations with a rod of iron under the authority of Yahshua, Rev. 12:5. This rulership was promised in Exodus 19:6. Yahshua will assign each of the apostles to a kingdom to judge the 12 tribes of Israel, Luke 22:29-30. Access to New Jerusalem is through one of the tribes of Israel, Rev. 21:12-13. Isaiah 30:20-21 says Millennial teachers (the saved) will correct those who stray from Truth. What happens to those who die without knowledge of the Truth? a. We just don’t know about them. b. They are destined for outer darkness. c. Hell’s fire awaits them. d. They will be given their chance to learn and either accept or reject Yahweh’s Truth. The thief on the stake was promised he would be with Yahshua in paradise that very day. b. Luke 23:43 has been misconstrued. Yahshua never went to paradise that same day, but to the grave for three days and nights. He said in essence, “I’m telling you this day, you shall be with me in paradise.” This Hebrew expression is found in many places like Deuteronomy 4:26 (“this day”). As the Companion Bible says (App. 173), “The interpretation of this verse depends entirely on punctuation, which rests wholly on human authority.” Greek manuscripts had no punctuation until the 9th century, and then had only dots between Greek words. Who in the Bible went to heaven? d. Only those listed in Hebrews 11.
a. John 3:13 reads, “And no man has ascended up to heaven, but He that came down from heaven, even the Son of Man which is in heaven.” Yahshua said, “Whither I go you cannot come,” John 13:33. Not even David went to heaven, Acts 2:34. All that studying has payed off! Good work! But there is still room for improvement! Keep your nose in the book! Shalom Isaac. Most Bibles say that. However Messiah did not go to paradise that day. He was dead in the ground for 3 days and 3 nights. So taking that into account with the fact that the original Greek did not have punctuation, the verse would likely read: And Yahshua said unto him, Verily I say unto thee today, shalt thou be with me in paradise. Therefore the emphasis is on the promise being made, making the fulfillment of said promise at a later date.